Are you using the Off-the-Record messaging plugin for Pidgin? Ever get annoyed by the big bloated button? How many times have you accidently hit that button and annoyed your friends who doesn’t use this neat plugin, which in turn starts asking you what the heck is going on? If your answer is yes in any of these questions, then this post might be of interest to you! 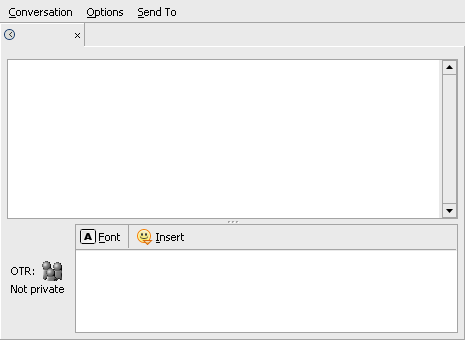 Finally the button was moved to the right in the formatting toolbar. Yes, I know this might not be the nicest… whatever, but I had a hard time trying to get it to be any good by doing it different. 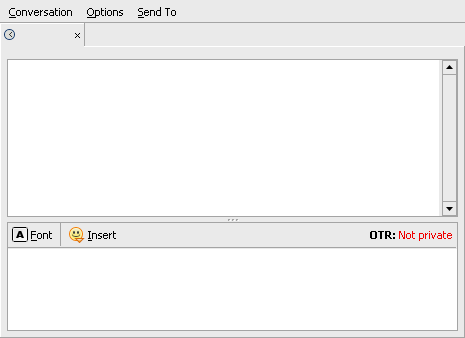 The problem was that if I wanted it to be on the right hand side of the message input area, I guess I’d also need to change some the pidgin source, because it seemed that the message input area was rendered with right alignment after the OTR button was rendered, and thus the OTR button would still end up being on the left hand side of the message input area. I’m not sure if that’s the case, but it seemed to be that way. And to start hacking on the pidgin source, would probably only complicate things even more. Obviously, you will need the pidgin-otr source to apply this patch. And this patch is for version 3.1.0. If you have any of the previous OTR plugins installed, or version 3.1.0 installed from your package manager, it must be uninstalled first. This entry was posted on Tuesday, September 25th, 2007 at 15:57	and is filed under HowTo, Programming, Security. You can follow any responses to this entry through the RSS 2.0 feed. You can leave a response, or trackback from your own site. OMG you are my hero. just saved me from saving to do something like this myself. thanks! This is awesome! I can’t say how many times I’ve accidentally clicked on that huge button. It’s annoying, not to mention ugly. This looks a lot cleaner and is out of the way. Have you submitted this patch to the OTR developers? It would be nice if it were like this by default.